Soulful Boom Bap isn’t the first thing hip hop heads think of when they hear Texas. But that might just change, once they hear San Antonio residents LQ and Smeazy, also known as the rap duo MC². 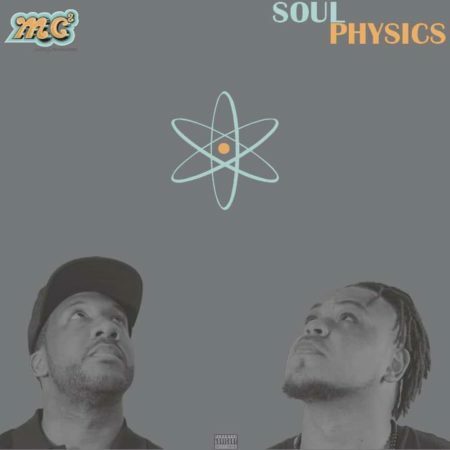 After releasing their “The Native Sons” EP in 2017 and several mixtapes throughout; they have now dropped their first official album entitled “Soul Physics”. Adapting their life philosophy “Everything is Physics”, the two MCs let a natural flow take over in the making of this album and simply did what felt right to them. This is their general approach to music, and the listener can easily get a sense of it, listening to their soulful sounds and genuine lyrics. With one of their biggest musical inspirations being the Soulquarians, you can imagine where MC² fits in, sonically. “Your fans just might turn into our fans. Be cool, it’s just part of the program. Spit your best 16, if you must. You’re not wack, you just sound wack rappin after us”.